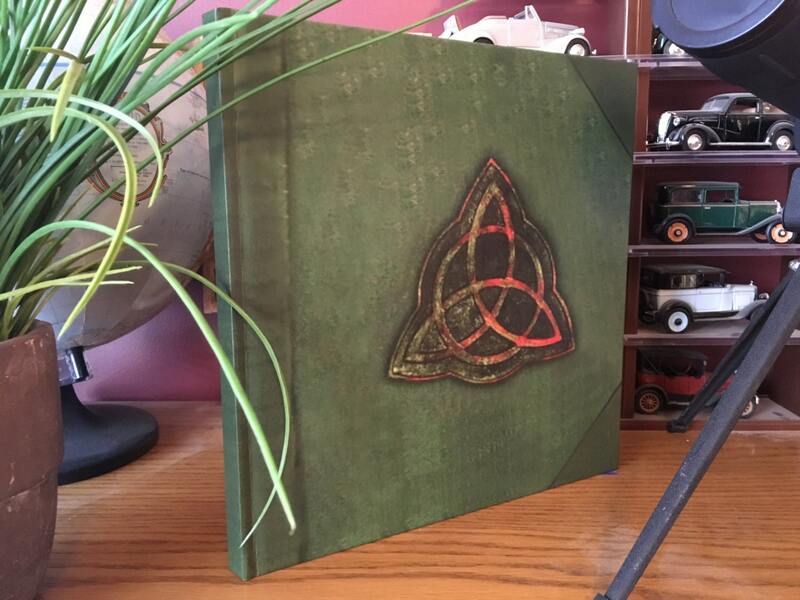 In order to celebrate the 10th Anniversary of the last episode of Charmed which aired on May 21, 2006, we have created this original commemorative 240 page 12" x 12" x 3/4" hardcover art book. 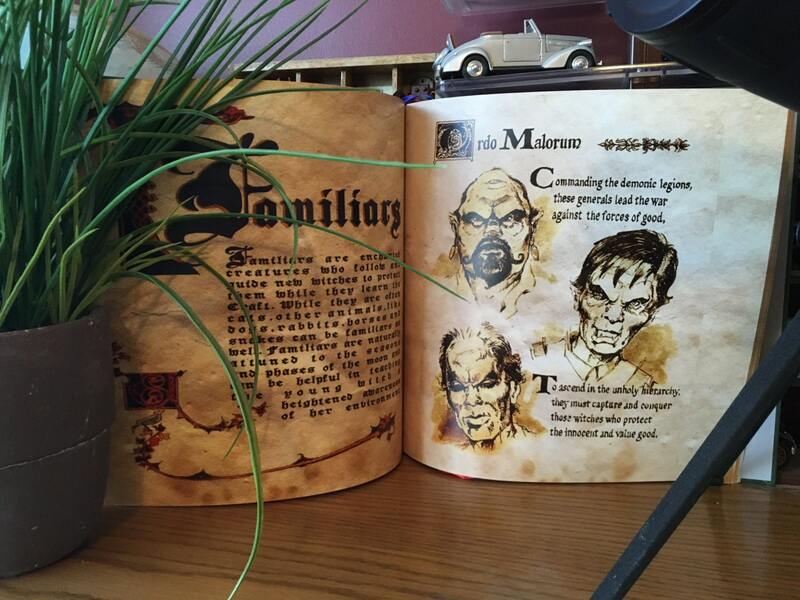 Yes the TV prop was much thicker but the cost to add what would only be filler pages has been eliminated and all of our pages are screen accurate only and ths is why we call it a commemorative art-book featuring all of the original artwork and spells in all their beauty. If you are looking for an exact replica the size and thickness of the TV prop than you will be disappointed. This is a reproduction of the original screen used artwork without the filler and without the added costs. We do offer a 480 page 8" x 10" book available in a separate listing. 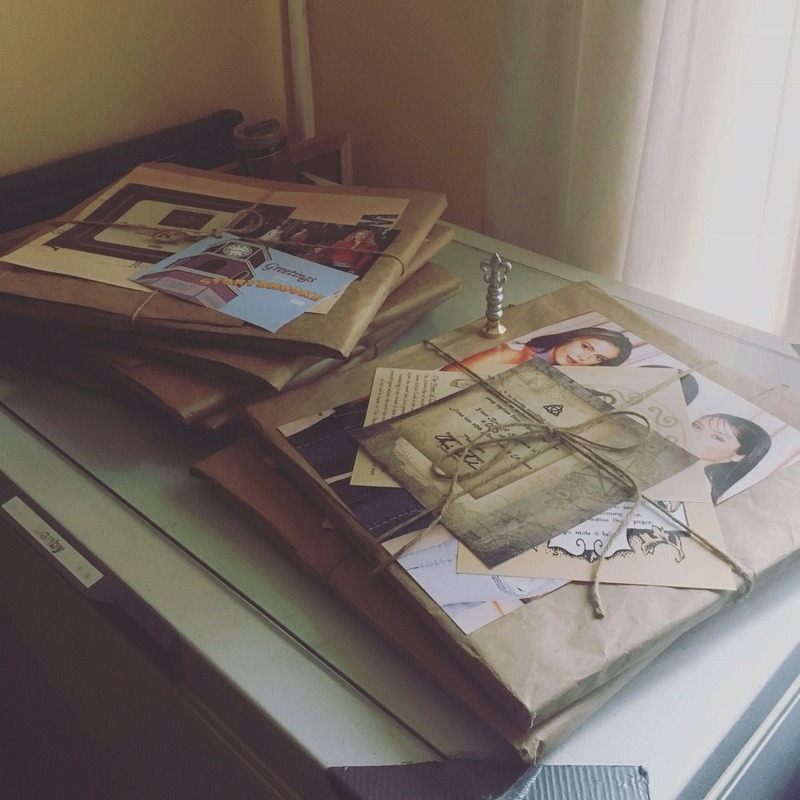 Now you can have your very own modern presentation of the famous artwork seen in the television series Charmed. 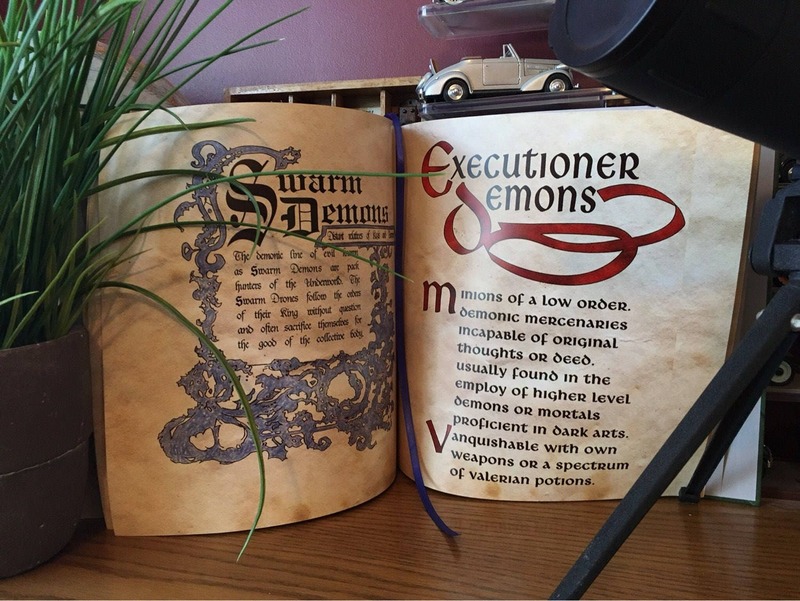 With 158 pages of screen accurate artwork & spells seen on the show and 42 blank pages inserted throughout the book so you can add your own spells and illustrations and then an additional 40 blank pages at the back for a total of 240 beautiful full-color pages. 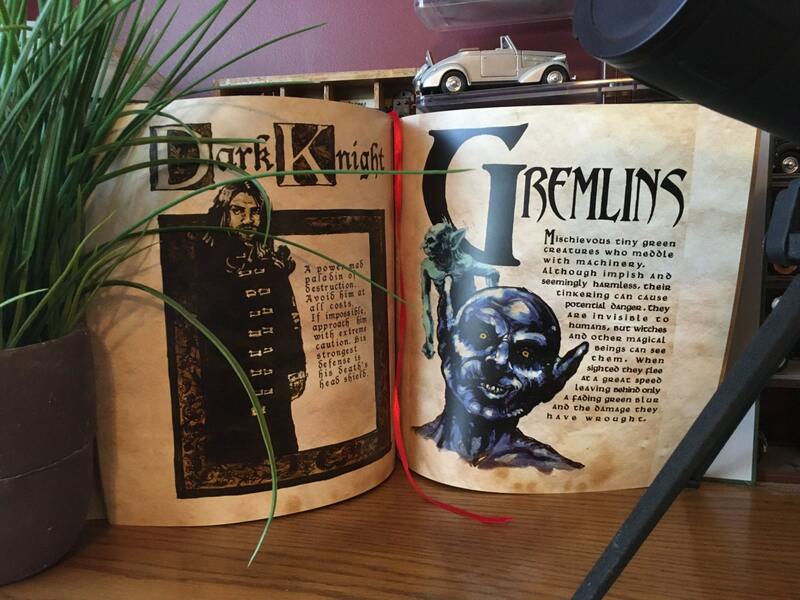 ***NEW*** Now available in 8" x 10" smaller version, same beautiful pages! 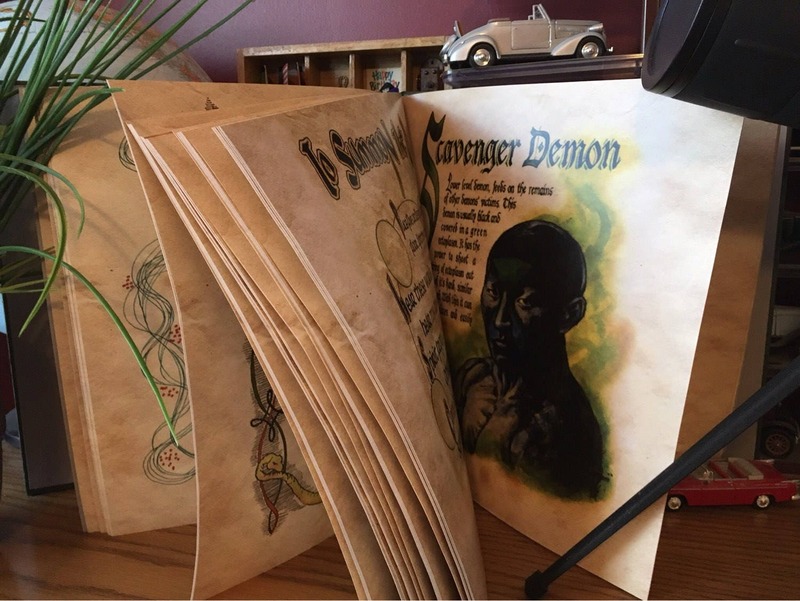 You can add your own entries into this book just as generations of Halliwell family members did with their book of shadows or you can just enjoy the 158 pages of amazing artwork, spells, and descriptions of demons for you to vanquish all as seen in the TV series Charmed. NOTE: This book can only be used for good (Evil hands cannot hold it). 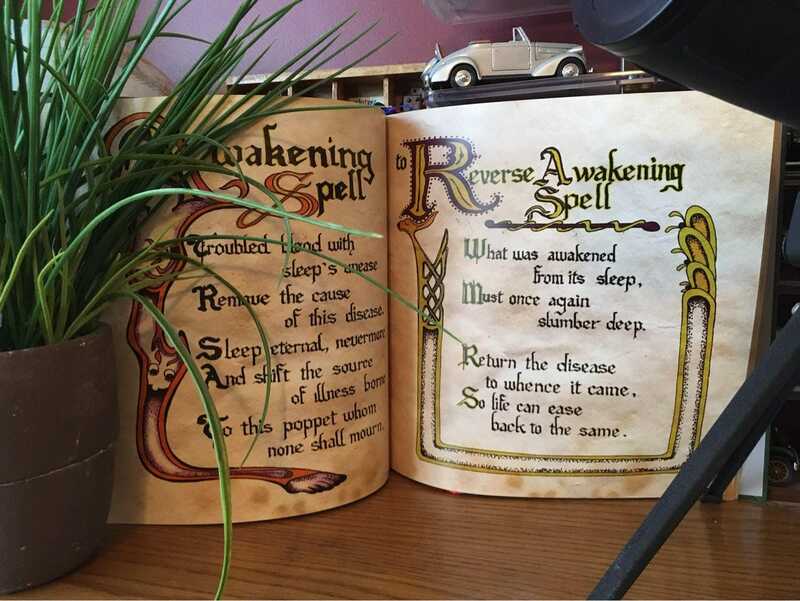 This art book is comprised of a collection of high quality, high resolution artwork and has been carefully formatted and reproduced using modern print on demand technology and is professionally bound to display the beautiful artwork from the original Charmed Book of Shadows in a modern, present-day coffee table book format at an affordable price for such a high quality large format book. 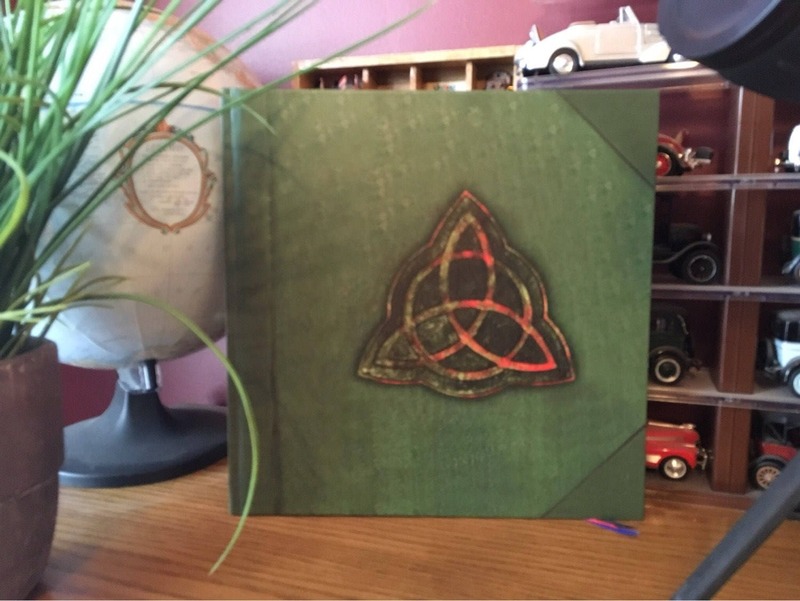 If you are a fan of the Charmed series then you will recognize and enjoy every page of this art book for many, many years to come or it makes an excellent gift for any Charmed fan! 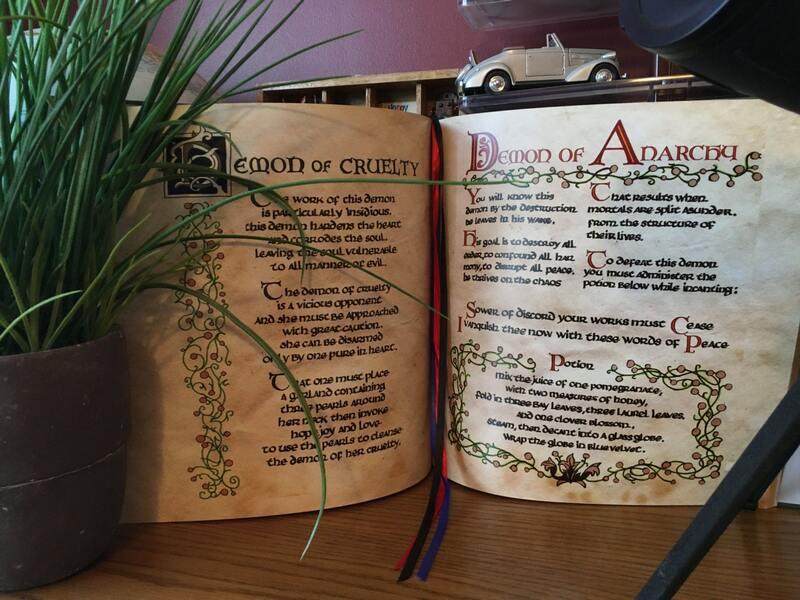 We also include at no additional cost, a high-quality reproduction of an autographed 8 x 10 original cast photo, a book of shadows blessing, a power of three will set you free comic pic and a signed & numbered certificate of authenticity. Custom made to order, please allow sufficient time for us to produce and ship to your location. Das Buch ist zwar später als erwartet gekommen, Probleme beim Zoll, aber sonst ist alles in Ordnung. Meiner Frau gefällt es sehr gut. Bekommt einen Ehrenplatz in der Wohnung. Lg Günther. Packing was gorgeous and the book is too! I’m very happy with my purchase and the seller did an AMAZING job with communication. He was so friendly and patient! I’m in love with my book!